The Gigafactory 2 will be a step up from Gigafactory 1 (which is still under construction). Tesla CEO Elon Musk announced plans to build a second Gigafactory somewhere in Europe. It came just after he announced the acquisition of Grohmann Engineering to help design and produce Tesla’s automated manufacturing systems. The factory’s exact location will be announced next year. In a press conference in Germany, Musk said ‘Gigafactory 2’ will be producing both lithium-ion batteries and electric cars. “This is something that we plan on exploring quite seriously with different locations for very large scale Tesla vehicles, and battery and powertrain production — essentially an integrated ‘Gigafactory 2,’” Musk said. 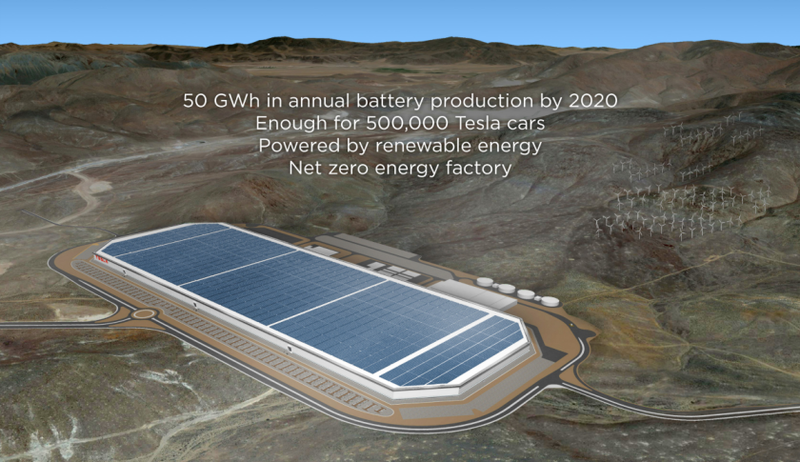 This a step-up from Tesla’s Gigafactory 1, which was originally intended to produce batteries only. The production of vehicles in the Gigafactory is interesting, but the batteries that both Gigafactories will produce will change the way we consume energy. Not surprisingly, most if not all of Tesla’s products require batteries. The planned Gigafactory in Europe would give Tesla a much needed boost in battery production that might not be possible in their Fremont plant. Musk said before that the factory “will produce more lithium ion batteries in a year than were produced in the entire world in 2013.” A lofty plan, but they will need a lot of batteries to power not just their cars but also Tesla’s current line-up of batteries — the Powerwall residential use and the Powerpack for larger energy needs. By scaling up its battery production, Tesla is giving us a glimpse on how energy will be consumed in the future— through a battery.